Praying and pot? That's seems to be what two churches in San Jose are preaching. They say cannabis puts them closer to God. Now, the city is trying to shut them down. At Coachella Valley Church on The Alameda, people were in and out of the church all day and night Tuesday. But the city says it's not so much about praying inside as it is about marijuana transactions. 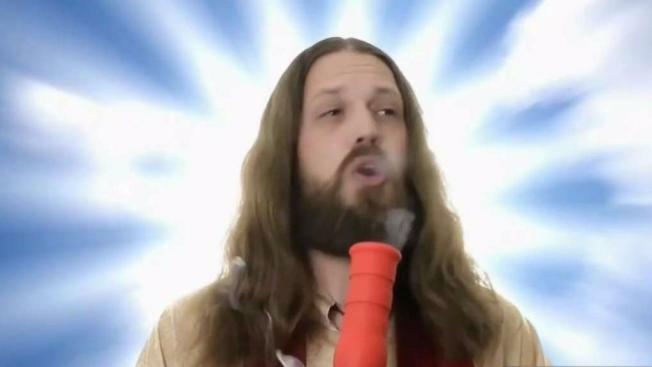 A YouTube video for the Rastafarian church makes no secret that cannabis is king. "It's just medication," parishioner Luis Miranda, of Sunnyvale, said. "It's not doing anyone harm. It's not getting anyone in trouble." Some of the people walking out of the church showed the marijuana they bought and saying all they had to do was show and ID and pay a $10 membership fee. The city says what the church is doing is illegal. Code Enforcment officials obtained search warrants and said the church is a front for a pot shop. San Jose currently allows 16 dispensaries to operate within the city limits. All have been vetted, pay taxes and have obtained proper permits. Coachella Valley Church isn't one of them. Neighbors want them out, too. "If a church wants to operate there, that's fine," resident Frederick Freeman said. "But it's a business that isn't licensed to do the business that it's doing." Another church focused on pot is Onac South Bay. C.J. Beach, who bought a joint inside, says she's attended spiritual services. "You light some incense and say your prayers, but you don't consume," Beach said. On Monday, a judge signed a permanent injunction, forcing Onac to close in 10 days. The city is still working to shut down Coachella. Neither of the churches responded to requests for comment.